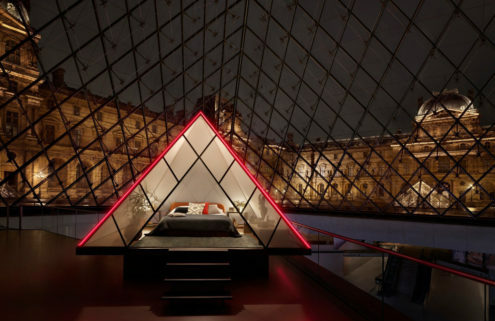 ‘It’s quite crazy being Parisian, passing the pyramid so often, then today realising I can make changes to it and stick things on top of it to create my work,’ he told the Humans of Paris Facebook page. 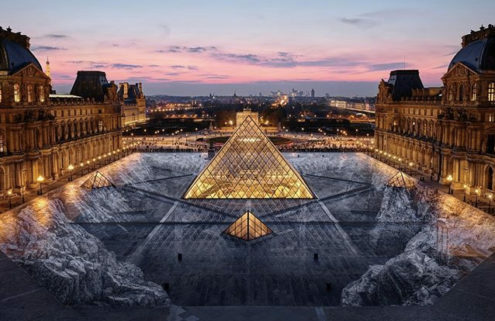 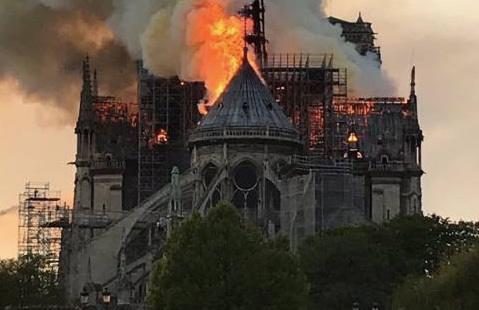 The artist is in the process of wrapping the IM Pei-designed glass structure with an anamorphic image of the 16th-century Louvre Palace that stands behind – removing the pyramid from view. 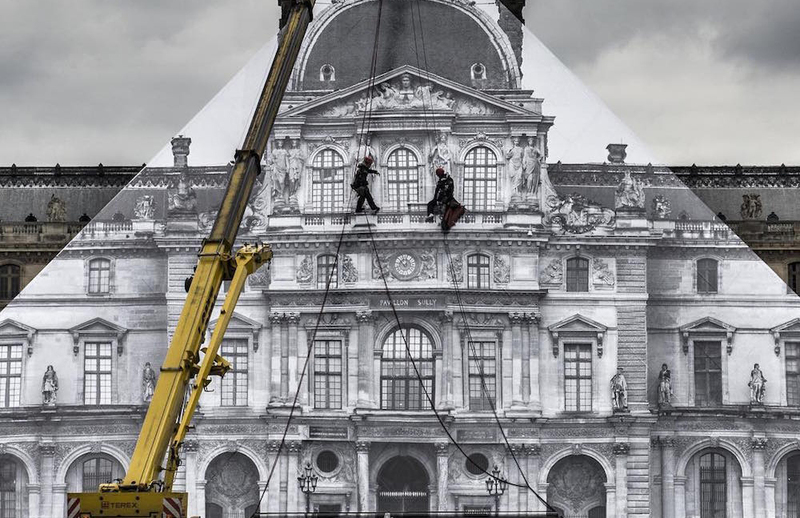 Throughout the installation, JR has been documenting the progress of the Pyramid’s disappearing act on his Instagram. 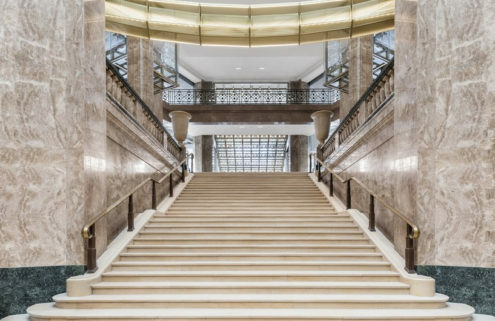 Dubbed JR au Louvre, the work will go on display from tomorrow until 27 June.